I used to roll my eyes when people were talking about hair self-cleaning approach. For a man that might be an option but if you use any hair styling product I just don’t think it would ever work until I was sent Unwash to try! 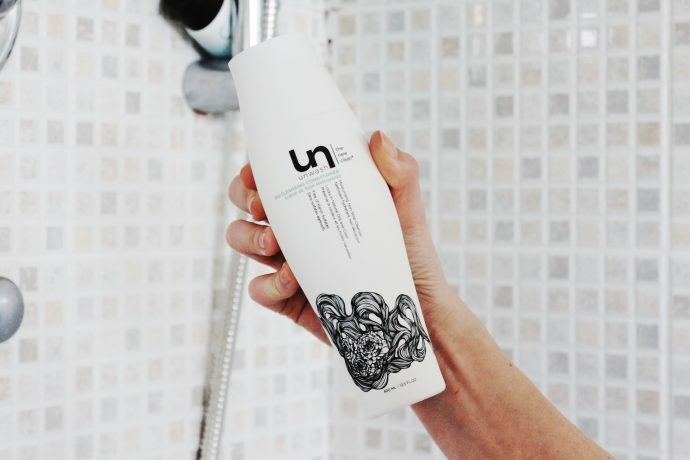 Unwash is a new hair care brand, and their primary product is a Bio-Cleanse conditioner. Unwash based their products on cleansing by conditioning concept. Brand Claims that Unwash products are free from harsh stripping ingredients, which potentially may hurt your hair and scalp health. Scientist on the BBC Radio 2 said you don’t need to wash your hair. Coincidently, nearly at the same time of receiving my Unwash products I’ve listened to the radio program where a scientist explained the concept of leaving without washing hair. Which at the start I just thought is totally gross. I had an opinion without actually having enough knowledge about it. Why I’m talking about the program? Well, I think the way Unwash works is very similar to the way you’d treat your hair if you’d adapt the concept of not washing your hair. Cold you stop washing your hair? According to the scientist I’ve heard on the radio, you would use only water in your hair, and your shampoo won’t even get close to your strands. You would use hair conditioner after rinsing your hair just with clean water. This way you can keep dust dirty and sweet away. But by skipping your shampoo, you don’t remove any of the natural oils that your scalp is producing to naturally lubricator and protect your hair. The scientist on the radio mentioned that there hadn’t been any significant research done to study this, but it’s believed that washing our hair with shampoo overstimulate our oils glands, which are trying to compensate for the loss of oil and moisture and therefore our hair is getting oily very quickly. What would happen if you stop washing your hair? A month of oily hair! If you adapt this concept, you will find yourself with a greasy hair for at least a month. After that period your scalp would become more balanced, and your hair will become healthy, shiny and apparently it won’t be as greasy as it used to be. Is the Unwash more down to earth approach to this concept? Now I’m talking about it because when I used Unwash, my hair reacted to it in a similar way it would if I washed it with water and conditioner only. It looked fab right after the wash. My hair felt and looked good. It even has a decent amount of bounce to it. However the next morning it looked like I haven’t washed my hair for a decade. Flat and very oily. Unwash is born with an idea of conditioner washing your hair, which I have to say sounds very similar to what the scientist on the radio said. This concept explains why my hair was getting rather greasy looking very fast. My hair is also utterly straight and not very thick, so I have to be careful how much conditioner I use. Too much often ways my hair down and hair becomes greasy much faster. Perhaps it wasn’t the fact I was using a decent amount of conditioner on my hair that was contributing to it looking a bit unfresh the next day, not the fact my hair wasn’t washed. Unwash cleanses without stripping the moisture. Unwash Bio-Cleansing Conditioner replaces both your shampoo and conditioner. So if you’re a girl who likes to use styling products and adopt the washing hair concept, this is your brand. As it has no sulfides, you could use it also if you have a keratin treatment in your hair. I don’t think I can put up with washing my hair daily to keep it looking fresh even if it’s only for a short time. So I won’t be using the Bio-Cleansing Conditioner. I like the concept, and how the hair feels, I’m just not keen when my hair looks flat and greasy. However, I did like the Dry Cleanser, which is an equivalent of a dry shampoo. It smells fab, and it wasn’t giving me an itchy scalp, which is often a case with dry shampoos. I’d happily use it in the future as it’s very effective. I needed only a small amount to revive my hair and make it look fresh again. The Unwash Bio-Cleanse Conditioner comes in a 400ml bottle and costs £29.95. You can find it here. 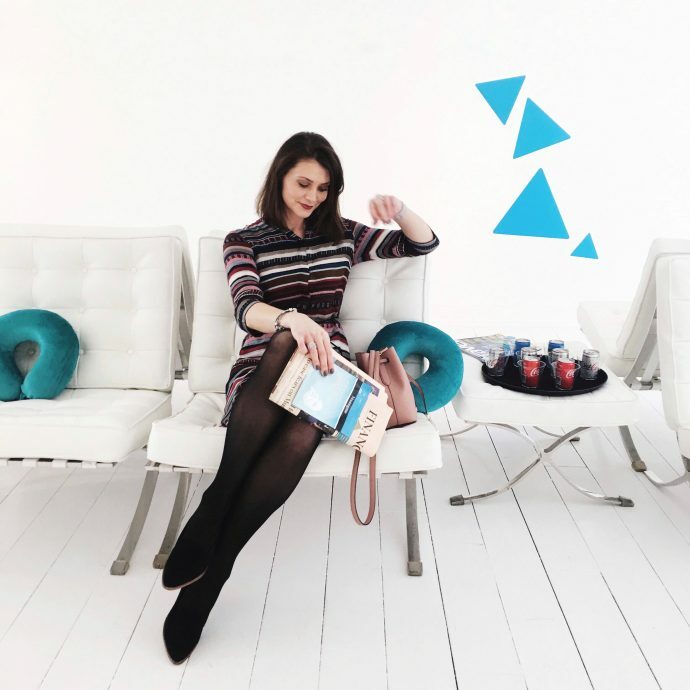 If you’d like to read more about Unwash, click here to find more information about the brand. Let us know if you’ve tried Unwash and what did you think?